The Charlotte Fire Fighters Association would like to welcome you to their newly updated home of their charity foundation- The Charlotte Fire Fighter Charities. also donated to national organizations focused on supporting emergency responders. So please....take a moment to visit our website and consider giving to the hottest charity in Charlotte- The Charlotte Fire Fighter Charities. We look forward to seeing you at The 1st Annual 660 Chili Cook-Off. The event will be open to all Charlotte Fire Department members and their families. 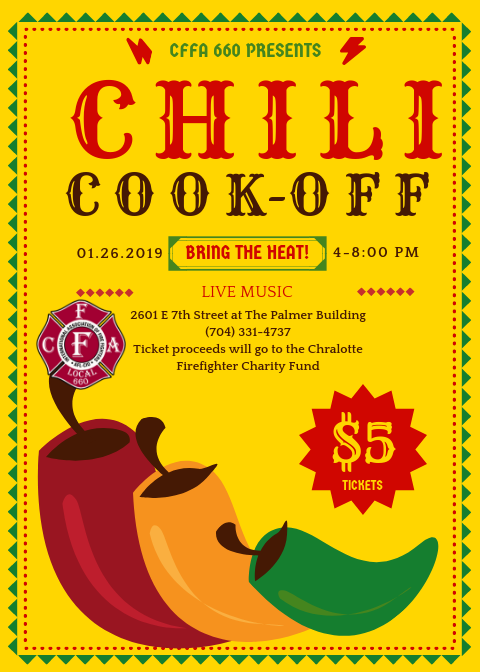 Tickets for the event will be sold at the door for $5.00 and all proceeds will go towards The Charlotte Firefighter Charities. For more information please contact Jonathan Griswold at (336)692-9767 or griswoldlocal660@gmail. It's that time of year, back to school. 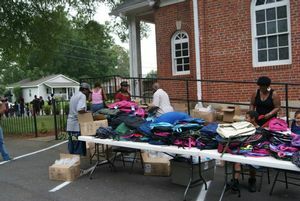 Traditionally Local 660 makes a donation to one of the many back to school drives and this year was no different. This year some of the residents in the "Grier Heights" neighborhood had a drive for the schools in their area and they had reached out to Local 660 and asked for assistance with this effort. The CFFA donated 100 CO detectors to residents in the Lake Norman area after a recent CO death in the area. The CFFA partnered with Lowes and Wal Mart to ensure an adequate number were available for residents in need. The CFFA is glad to assist residents in our area, because they support us so well. Here is a link to the story: http://www. On the floor of the 2012 IAFF convention, Local 660 President Tom Brewer donated $1000 to the Charleston 9 Memorial fund. After numerous discussions with the IAFF local 61, the Local 660 decided to assist in this beneficial project to honor the fallen firefighters killed 5 years ago in Charleston at the Super Sofa Store. 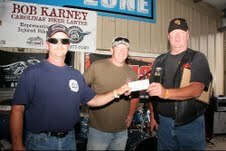 The Charlotte Fire Fighters are proud to Support the Combat Veterans Motorcycle Association and their charitable endevours. The CVMA's sole purpose is to help veterans who are in need of food, clothing, housing or other basic needs that many of us take for granted.